Have you ever taken a picture and thought it would look a little better if it had been raining? Fortunately, it's not terribly hard to fake a very realistic rain effect by creating a custom Photoshop brush! Raining effects are just a few clicks away, as you'll learn how to make a great rain drop brush that can be used to create anything from a light spring shower to a torrential downpour, while still managing to look quite realistic. 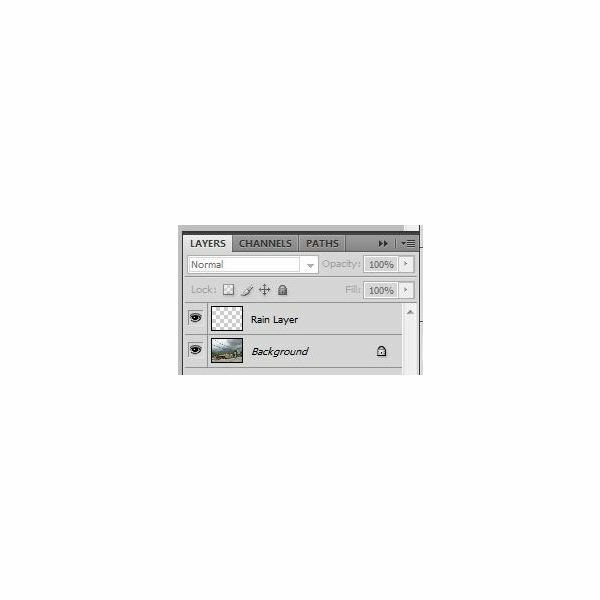 On top of that, you'll even learn the best way to use this brush on your images by utilizing Photoshop's layer blending mode settings. 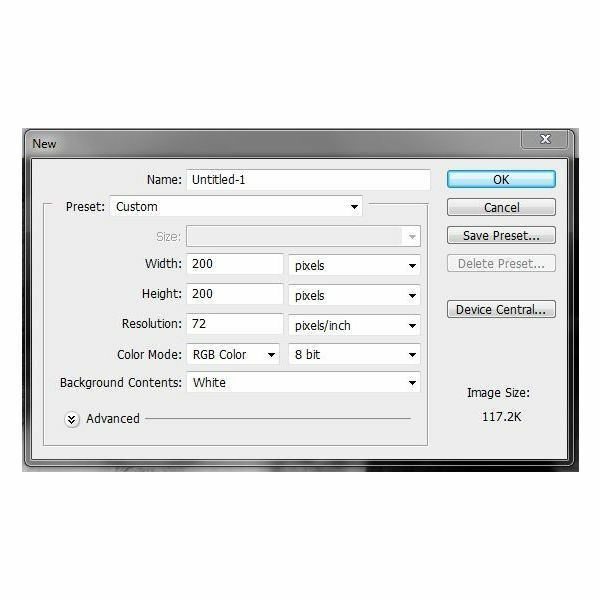 This tutorial will work great for beginners and seasoned Photoshop users alike, and should work perfectly fine for all versions of Photoshop from 7.0 through current. First and foremost, we're going to create a rain brush. This is incredibly easy, even if you've never created a brush before. 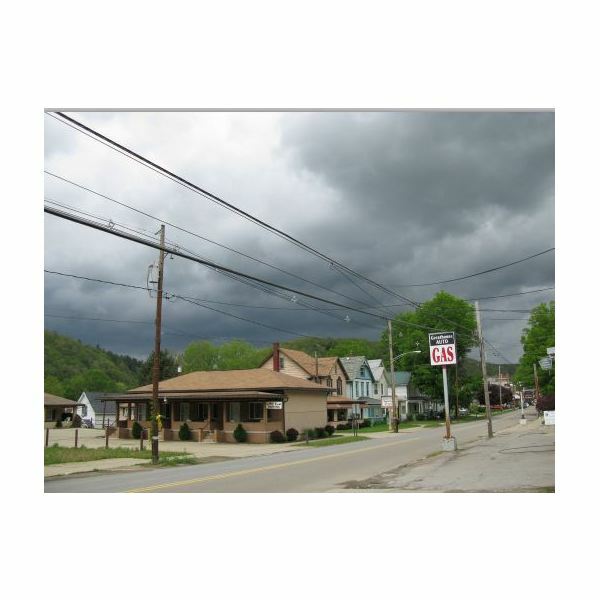 We're going to assume that the rain is falling straight down in this method, and the brush can be used for anything from a rain storm to a light, spring drizzle. Besides, by learning to create your own Photoshop brush, raining, snowing, and even starry sky effects are never more than a few seconds away! 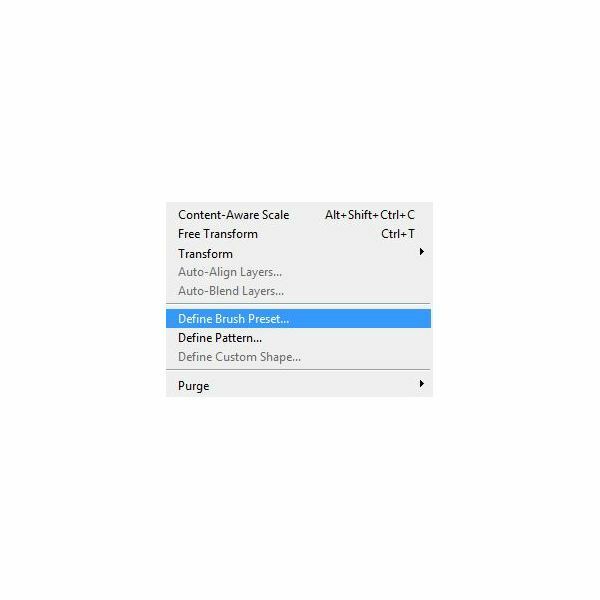 Open up Photoshop and create a new document. You're going to want something around 200 by 200 pixels, which is a good size for a rain drop brush. 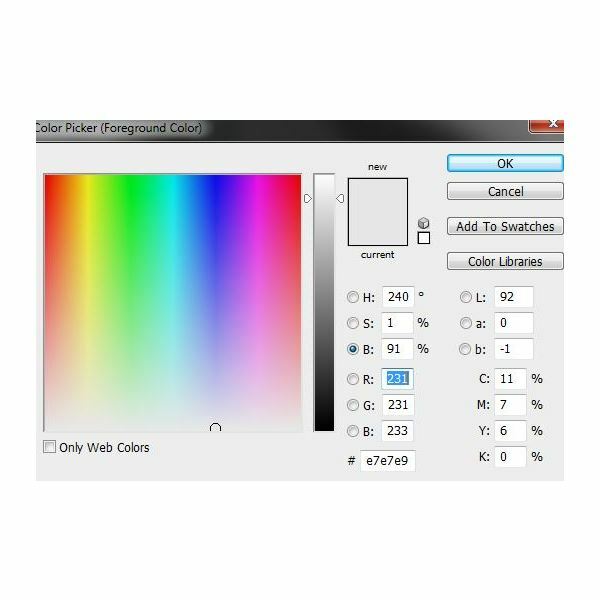 Make sure your background color is set to white! 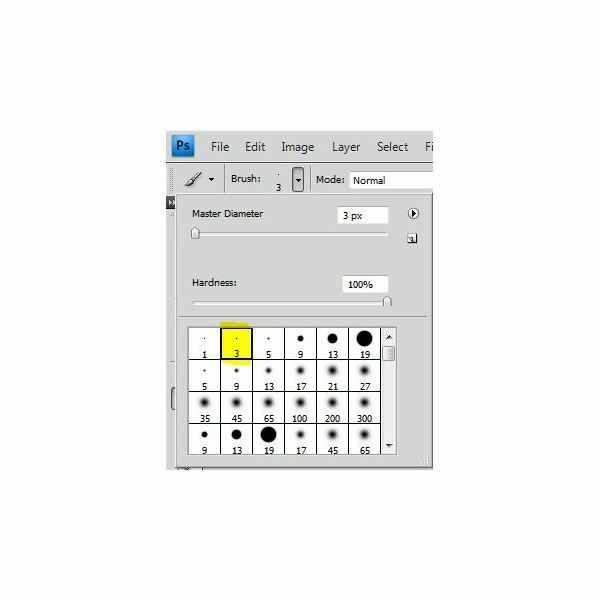 Tap D on your keyboard, which is the Photoshop shortcut to set your foreground and background colors to their default black and white. Tap B on your keyboard, which selects the brush tool. 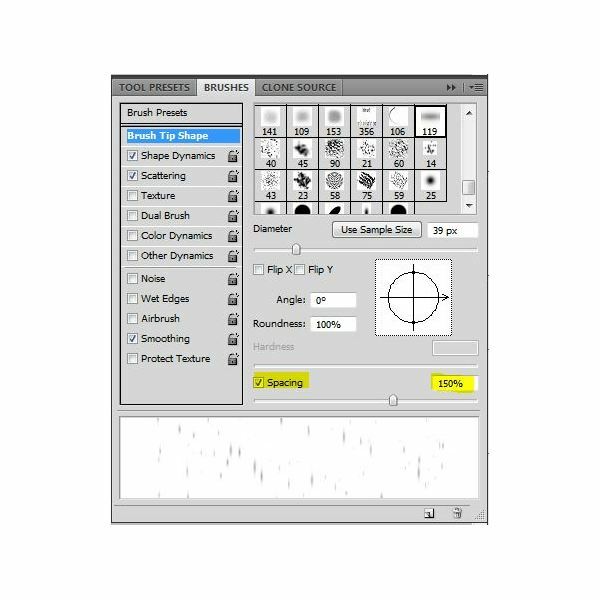 Go into your brush panel and select a round, hard edged brush, about 3-5 pixels, depending on how long and thick you want your raindrop to be. I'm just going to use a 3 pixel brush here, though. Create a new layer and place a black dot in the center of it with your paint brush. Holding down ALT and SHIFT, grab the top of your free transform box and pull your raindrop into a more elongated shape, like I've done. You do this by simply pulling straight up! 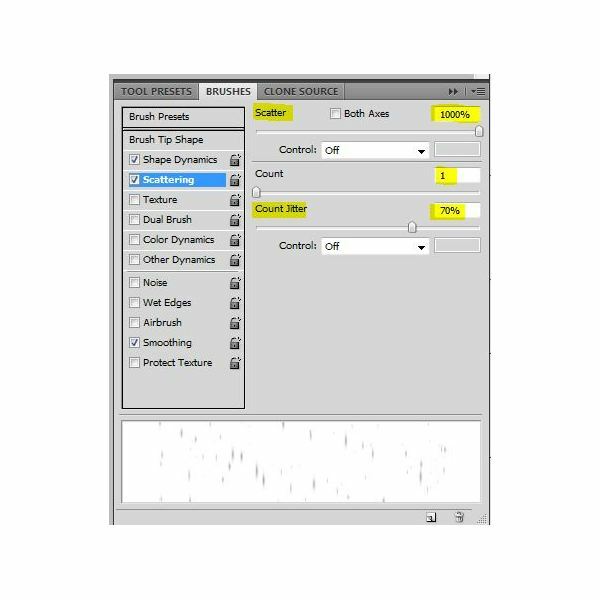 Now simply save your rain drop brush as "rain" or "raindrop" by going into Edit > Define Brush Preset and entering the name into the box. 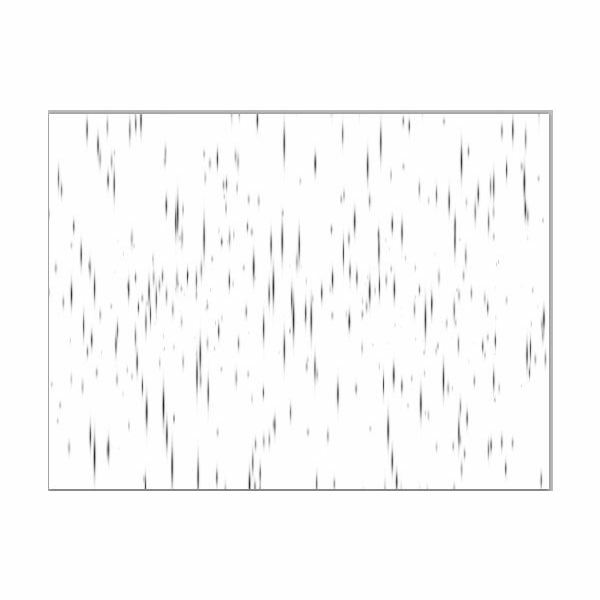 If you try to use this brush to create a rain effect as is, you'll find that it actually creates a very strange blurry effect. 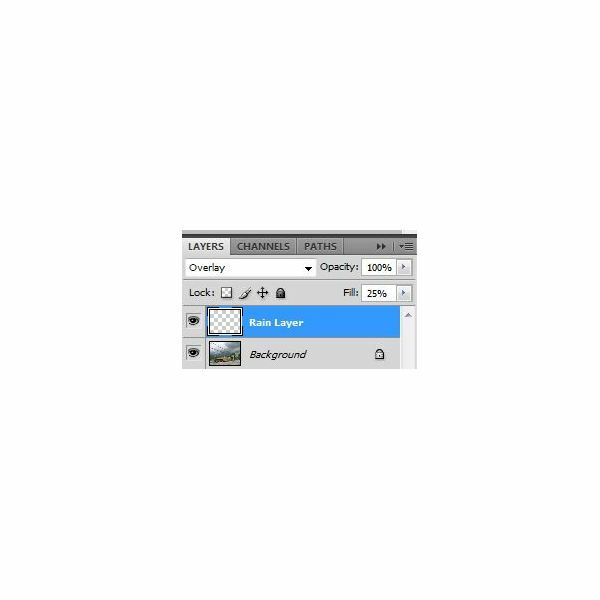 Don't worry, though, as this can easily be changed by Photoshop's Brush settings. 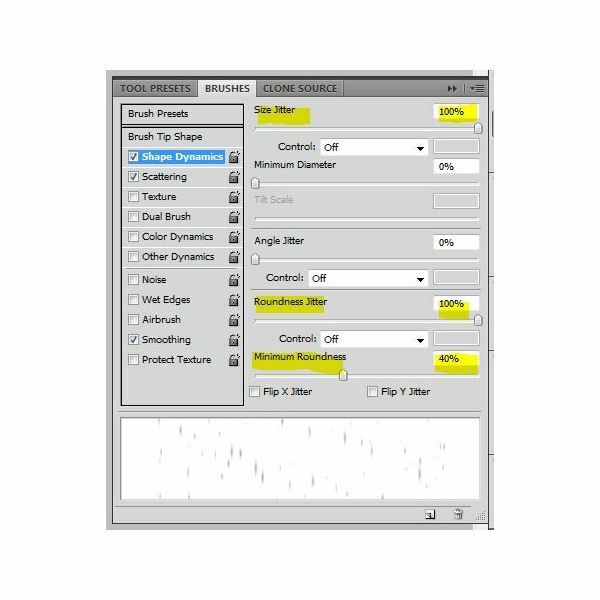 These nifty little settings allow you to set everything from scattering and spacing to texture, noise, and more! Not to mention, this panel is very easy to navigate, and I'll show you exactly what settings to change to get the most realistic effect!  Here's what the rain brush currently looks like if you were to draw with it on a plain white canvas! First and foremost, create a new layer above your image. If it helps in terms of organization, go ahead and name it "Rain Layer." Depending on the time of day and brightness of your picture, the color you select for your rain drop brush might vary a little. However, I find that a light grey usually produces a fantastic and realistic effect! The color I'm using here is #e7e7e9. Using your rain brush that you had created in earlier steps, go ahead and begin to swipe it back and forth across your canvas. How much rain you put on your photo is entirely up to you, but I like a light drizzle or medium summery rain more than a downpour. It just feels more realistic. You might want to change the size of your brush to give a little more depth to your rain storm. Here's what mine looks like!